Discover 30 original, ingenious, and unique buildable projects. 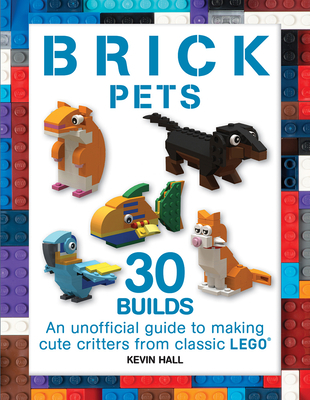 Free your inner creative genius with these fantastic brick builds that includes a wide range of cute, life-like designs such as a tabby cat, Dachshund, tortoise, frog, goldfish, hamster, and more. Anyone with a drawer full of LEGO bricks will be able to build and customize amazing models with help from this inspiring guide. Based on the brick selection found in some of LEGO's Classic series, each project is a great way to test out unusual building techniques or to mix up pieces from existing kits that have already been broken up. Follow the instructions or go off in your own direction--it's your choice Many of the designs in these books use fewer than 100 bricks, so you don't need a lot of bricks to get started. With even more descriptions, pictures, and step-by-step instructions than ever before, LEGO fans will find new ways to hit the bricks.